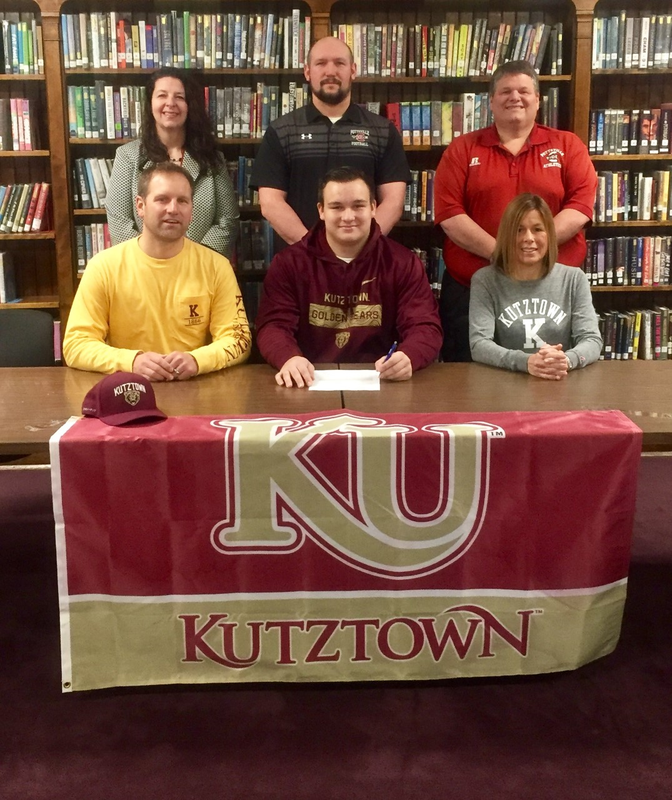 On Wednesday,Pottsville Area held a signing ceremony for Parker Zimerosky . 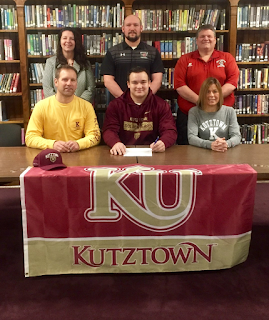 Zimerofsky, a senior, has signed his letter of intent to continue his academic and football career at Kutztown University. Seated L to R : Scott Zimerofsky, Parker Zimerofsky, Mindy Zimerofsky. Standing: L to R: Principal Tiffany Hummel , Football Coach Tom McGeoy, Athletic Director Eric Rismiller.